While some reforms fall under the purview of state governments, a unifying template and policy guideline from the Centre with incentives for reforms implementation can go a long way in the sector's sustained growth, says Anita Arjundas, MD and CEO, Mahindra Lifespace Developers Ltd.
Anita Arjundas (@AArjundas), MD and CEO, Mahindra Lifespace Developers Ltd (@Life_Spaces), the property development arm of Mahindra Group, says the real estate sector can contribute significantly to the economy if certain fundamental and structural reforms are implemented. 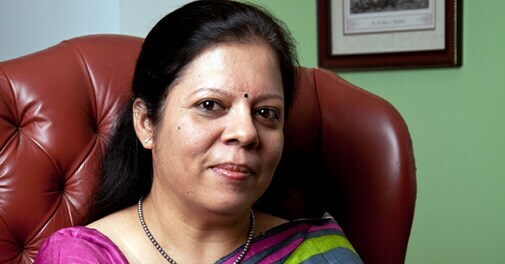 While some reforms fall under the purview of state governments, a unifying template and policy guideline from the Centre with incentives for reforms implementation can go a long way in the sector's sustained growth, she says. Arjundas, who is also the Chairperson of the FICCI Real Estate Committee, suggests a number of measures. There is an urgent need to reduce the long approval cycles by bringing in a single-window clearance mechanism for all real estate projects, particularly those relating to affordable housing. Delayed approvals act as a huge impediment to the growth of this sector and significantly add to the cost of development. The appointment of a real estate regulator is welcome but this needs to be backed by transparency and responsibility from relevant government agencies. Improved timelines and reduction in ambiguity in the approval process are critical for growth. With manufacturing as a key focus area for job creation, the government needs to revive the development of SEZs to spur exports from India. A practical first step would be to reinstate the original SEZ reforms that could provide an immediate trigger for growth as several SEZs are operating with large unutilised capacities which will be unlocked. In the housing front, the new government must take steps to reduce the cost of home ownership by rationalising the multiple taxes levied on real estate in this country. Presently, we have a situation where the same transaction is treated as an immoveable property, a manufactured product and a service rendered, all of which add to costs that are eventually passed on to consumers. For a capital-intensive industry, timely and cost-effective access to capital is a significant focus area. Some work has already happened here and taking this forward through the implementation of REITs [Real Estate Investment Trust] and granting infrastructure status to the industry to improve access to and cost of finance can help the industry significantly. While urbanisation is a reality, planned urbanisation is an imperative and will require the Land Acquisition Act to be re-visited given that it currently does not support timely urban and industrial development. The land pooling model adopted in Gujarat and upheld by the Supreme Court could form one of the approaches for government-led land acquisition in the future. The National Skill Development Council has identified multiple sectors of focus to enable skill creation and employment. Construction is one of them and large-scale programmes to encourage training in this area will help create a robust ecosystem and better skill levels. "All these measures will go a significant distance in creating a sustainable ecosystem for faster infrastructure creation and growth of the sector," says Arjundas. "Besides these, large-scale urban infrastructure projects like the DMIC [Delhi Mumbai Industrial Corridor] can go a long way in vitalising the corridors along the way and creating new urban centres."